The Colorado bluegrass pioneers celebrate four decades together. Colorado string bands are well known for messing with the boundaries of traditional bluegrass. While acts like Leftover Salmon and Yonder Mountain String Band often receive props for their acoustic expansiveness, much of the credit for pioneering the practice is owed to an influential predecessor: Hot Rize. The quartet emerged from Boulder in 1978, and after making an impact throughout the Front Range with marathon gigs at venues like the Colorado Coal Company, they went on to become a driving force in the national newgrass movement with acts like the Seldom Scene and Newgrass Revival. The group’s first longstanding lineup—mandolin picker/lead vocalist Tim O’Brien, banjo innovator Pete Wernick, bassist Nick Forster and guitarist Charles Sawtelle—mixed reverence for Bill Monroe’s high lonesome sound with some of the shaggier edges of rock and country. The band nimbly ran through old standards like “Blue Night” and “High on a Mountain,” but Forster preferred to bob along on an electric bass and Wernick often ran his banjo rolls through a phase-shifter effects pedal. “We were never down the straight and narrow,” Forster recently told a newspaper based in Raleigh, North Carolina, where the band hosted the International Bluegrass Music Association’s (IBMA) annual awards show back in September. That didn’t stop Hot Rize from gaining widespread acceptance. As bluegrass fans opened their minds to progressive interpretation, the band became festival mainstays, made national TV appearances and played the Grand Ole Opry in 1982. They also won IBMA’s Entertainer of the Year in 1990—the same year they decided to call it quits. Reunion shows were frequent, though, until the untimely passing of Sawtelle in 1999. With the addition of flat-picking guitar wiz Bryan Sutton, the group reformed in 2002 and ever since the band members have juggled a small-but-steady regimen of Hot Rize gigs with their various other musical endeavors: O’Brien, a skilled songwriter, has earned multiple Grammy Awards and crossed into the worlds of folk and Americana; Wernick leads banjo camps across the country; and Forster has hosted the nationally syndicated nonprofit radio show eTown out of Boulder since 1991. The record features 19 tracks that showcase the group’s fast-paced fretwork and uplifting harmonies. 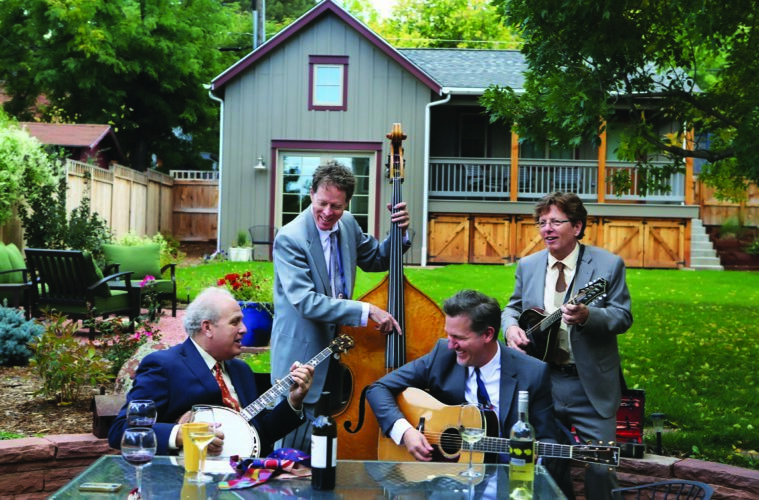 Throughout the live set, the band offers a retrospective tour of the best-known songs in their expansive catalog, including Wernick’s hard-driving instrumental “Huckling the Berries” and O’Brien’s traditionally-minded “Nellie Kane,” which has become a well-covered bluegrass favorite since it appeared on Hot Rize’s 1979 self-titled debut. The quartet’s acoustic forays into outside genres also show up. In particular, a guest-heavy, high-energy take on “Radio Boogie,” a dance-ready rockabilly tune from the 50s, gets reimagined with a flurry of slick solos. Before running through an up-tempo version of Glen Campbell’s “Wichita Lineman,” Wernick reminisces about how the song helped bring the band together four decades ago during informal jam sessions at the Denver Folklore Center. It’s an apt reminder about how this band helped craft a quintessential Colorado sound. 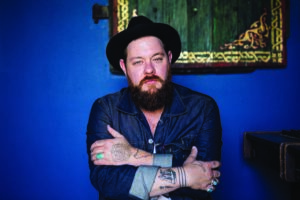 This month, Denver-based Nathaniel Rateliff will return to his singer-songwriter roots, performig solo sets opening for John Prine around Colorado: November 7 at Riverwalk Center in Breckenridge, November 8 at the Avalon Theatre in Grand Junction, and November 9 at The Buell Theatre in Denver. To mark the occasion, here are three essential Rateliff tunes to stream now. “Shroud.” This hard-hitting folk-rock stomper features some dark introspection that’s ultimately uplifted by soaring harmonies between the songwriter and his old bandmate, Julie Davis. “Liverpool.” Far from the Stax-style bravado of the Nighsweats, this stark, lonesome ballad features Rateliff hazily strumming and singing through a rumination on uncertainty. —J.F.